Posted on March 24, 2017 at 10:00 am. This wash contained none of my outright allergens, though the orange oil could contain compounds to which I am allergic, and there are certainly other potential allergens in the wash. Regardless of this suspicion, I was feeling itchy and uncomfortable and so I decided to stop using the Diva Cup until a time when I might be willing to try again. That day came this past month. Suspecting the Diva Wash as the culprit, I washed the cup twice with plain, safe bar soap before use. Four days later, after near-constant cup use, only washing with plain bar soap, I had no adverse symptoms whatsoever. 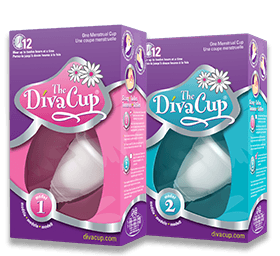 I could finally use my Diva Cup safely again! Anyone who has heavy periods like I do and has tried a cup-type menstrual product can understand that relief. If you have had a problem with a reusable menstrual product, and already exhausted disposables, don’t give up. It is always possible that the problem isn’t the product but the treatment of it. I have been having trouble with my silicone moon cup. Itching, irritation, redness and swelling at the point of entry. I have used the cup for the last 4 or 5 years with great success… until now. I am newly discovering my allergies and on the wait list for patch test. However, due to my reactions to elastane and polyester (yes, even threads) and these symptoms being exacerbated when I eat PG containing products, I strongly suspect PG/PEG. I haven’t ever used a commercial menstrual cup wash, just plain soap or baking soda. I figured I may be allergic to silicone as well and I just placed an order for the latex “keeper”. Here’s hoping I won’t have any adverse symptoms with that one! Since I’m having trouble with glycols, I didn’t think it was unusual to have a problem with the cup as well. It’s all plastic, after all. Thanks so much for your blog posts. They are really helping me to find healing in my own life.